All of the eight teams left involved with the NBA Season have played a Conference Semi-Final game by now and things are getting rather interesting. The Tuesday night games saw Game 2 get underway and there were some surprises in store for the players, teams and fans involved. The Hawks levelled the series at 1-1 with the 106-90 home win against the Wizards. The Grizzlies also managed to level the series at 1-1 after they defeated the Warriors by a score of 90-97, which was a huge win. The Warriors have been formidable at home for the majority of the campaign and many expected them to carry this form in this series. This now makes things slightly more interesting and it could well be that we will have a proper series on our hands with respect to these Conference Semi-Finals. The two games taking place on Wednesday night represent the second game in the series and there will be teams looking for rev4enge and teams looking to cement their lead. The Bulls were well on top in the opening game of this series and while the late injury to Derrick Rose has caused some concern, by and large the Bulls can be very happy about what happened in Game 1 of the series. It doesn’t look as though the Rose injury is too serious, which means it is the Cavs who are left wondering what happened on Monday night. They will be looking to avoid becoming the first LeBron James team to drop the opening two games of a 7 game series in 7 years. This means that there is a bit of pressure building on the Cavs for this one, which could impact on the way that they approach this game. Rose was in fine form before he left the court with a shoulder injury in the 92-99 win. Rose delivered 5 assists and he grabbed 25 points over the course of the game. He also grabbed vital points when the Cavs were on a roll diminishing the lead that the Bulls had built up, allowing the Chicago side to regain control of the basketball game. LeBron delivered 19 points, 15 rebounds and 9 assists but he was far from his best in this game. It was only the fourth loss the player has suffered in 16 Playoff games with the Bulls but there is no doubt that he will be looking to lead his team in a stronger manner this week, after they struggled to match the Bulls. It is a short-handed Cavs side who are playing at the moment but when you get to this stage of the season, you have to battle on and make the most of what you have available to him. Mike Miller came in to replace Kevin Love and he wasn’t the solution that the Cavs were looking for, which may lead to a switch in Game 2. The Bulls are 55-34 for the season with a 26-19 record on the road and an 8-2 record in their last 10 games. The Cavaliers are 57-30 for the season which includes a 33-11 record at home and a 7-3 record in their 10 most recent games. With respect to average points for, the Cavs lead 103.0 to 100.8 and for average points against, the Bulls lead 97.1 to 98.5. 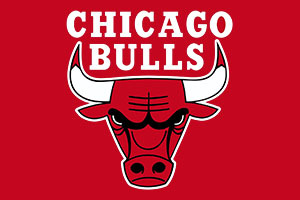 Taking the Bulls with a +5.5 handicap, and odds of 1.90, isn’t a bad bet for a Wednesday evening. Bet Now! The Clippers endured a bit of a battle going up against the San Antonio Spurs and it was fair to say that the Rockets were hoping that they were going to catch the Los Angeles side feeling a bit leggy or weary. When you add in the fact that Chris Paul was also absent, it was a tremendous win for the Clippers and now the Rockets are facing questions of whether they can bounce back after appearing to be quite sluggish in the game. Paul could be missing again for this game as they set out to take the first two games in a second round series for the first time in their history on Wednesday night. It seems as though he is rated at 50-50 for this game, and with the Clippers having won the opening game, there may be a desire to allow him to get more rest before being thrown into action. If Blake Griffin can repeat his form in Game 1, there won’t be too much concern for the Clippers. He managed to deliver 26 points, 14 rebounds and 13 assists, giving him his second triple-double in a row. While most people felt that the Clippers would tire, they actually outscored the Rockets by 71-51 in the last 24 minutes of the game, which made a big difference in the final result. This is the first Semi-Final for the Rockets since 2009 and they know that they need to improve their statistics with respect to turnovers and rebounds after this game. James Harden, the MVP runner up, offered 20 points and 12 assists but he also provided 9 turnovers, which means he has a lot to improve in this game. Trevor Ariza performed well, offering up 17 points but Josh Smith knows that he has to offer more with his shooting in this game. The Clippers are 61-29 for the season which includes a 29-16 record on the road and the Los Angeles side holds a 7-3 record in their 10 most recent games. The Rockets are currently 60-28 for the season with a 33-12 record at home and they also hold a 7-3 record in their 10 most recent games. With respect to average points scored, the Clippers have an advantage of 106.5 to 104.5 and the Clippers also hold the advantage for average points against, 100.4 to 101.2. Taking the Los Angeles Clippers at +7, with odds of 1.90, is likely to be a great bet for Wednesday night in the NBA Playoffs. Bet Now!